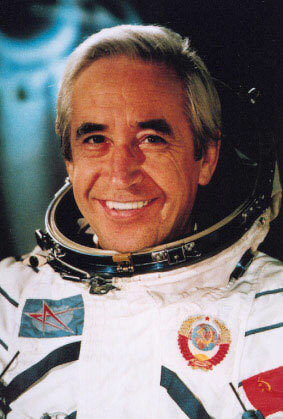 Naissance : 7 février 1926, à Voronezh, région de Voronezh, Union soviétique..
Retraite : 28 octobre 1987. Remarques : Premier concepteur de vaisseaux spatiaux -- il a travaillé sur les Vostok -- à s'envoler pour l'espace. 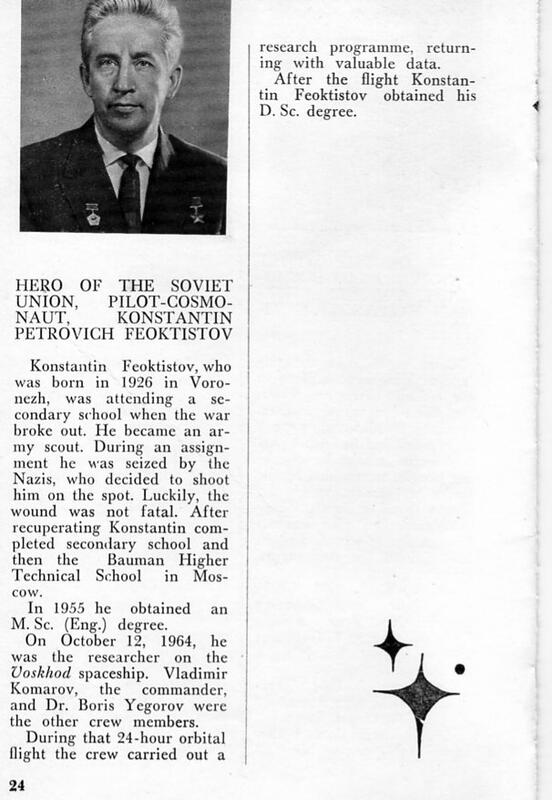 RSC Energia bio Konstantin Petrovich Feoktistov, Hero of the Soviet Union, USSR Pilot-Cosmonaut, Great Patriotic War veteran, Doctor of Sciences, Professor, State and Lenin Prize winner, and one of the leading developers of the national space technology. His fate is amazing: being young man he took part in reconnaissance operations during war time, was caught and shot by fascist invaders, but had survived by some miracle. In 1949, he graduated from MVTU after N.E. Bauman, in early 1950 s of the past century Konstantin Petrovich worked at NII-4 as the member of the famous team headed by M.K. Tikhnonravov. In 1957, by his invitation, he was transferred to OKB-1, where academician S.P. Korolev, the founder of the practical cosmonautics, had been the head and chief designer. From that time, he became close associate of S.P. Korolev, designer of space vehicles. Together with other members of the team headed by M.K. Tikhonravov, he actively participated in the development of the pioneer artificial Earth satellite, the launch of which marked oncoming of humanity space age. K.P. 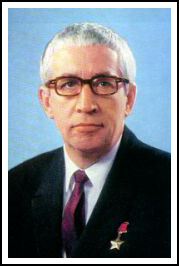 Feoktistov was widely known as designer, one of the creators of Vostok space vehicle. It had been his idea to give a spherical shape to descent module for that space vehicle. Vostok space vehicles were the first in the historyto carry onboard a cosmonaut and the first female cosmonaut, our compatriots Yuri Alexeyevich Gagarin and Valentina Vladimirovna Tereshkova. K.P. Feoktistov performed flight into space by Voskhod space vehicle, being one of its developers. He became the world's first design engineer who had performed its tests during flight and the crew member who was the first to have performed flight unsuited. Also he became the first cosmonaut of RSC Energia's cosmonauts' corps. S.P. Korolev attached great importance to that flight, because, in his view, flight performed by K.P. Feoktistov would signify a new era making it possible for space technology developers to test space technology during flight, which provided background for its improvement by the example of next-generation manned space vehicles. More than 30 years Konstantin Petrovich devoted to his work at the Corporation. He had worked his way up from the Head of Team to the Deputy General Designer. He was one of the key developers of space vehicles Soyuz, Soyuz T, Soyuz TM, Progress, Progress-M, orbital station Salyut and the first International Orbital Complex Mir, a unique creation of the XXth century. Implementation of these projects opened new glorious chapters of the national cosmonautics history. For great services to the Fartherland and due to recognition of his contribution by international community, he was awarded the honorary titles of the Hero of the Soviet Union, the Hero of Labour of Vietnam Socialist Republic; he was awarded the Order of Lenin, two Orders of Red banner of Labour, Orders of the Patriotic War, Order of the Badge of Honour, medal for the Victory over Germany, gold medal after K.E. Tsiolkovsky (USSR Academy of Sciences); gold medal "Kosmos" and medal de Laveau (FAI), other medals. K.P. Feoktistov is the State and Lenin prize winner, the honorary citizen of the city of Kaluga. Crater on the Moon surface is named after him. Konstantin Pertovich Feoktistov will leave fond memories of himself for ever as a bright personality, outstanding scientist and manager who contributed a lot to investigation of space and cognition of mysteries of the Universe.